Buzzy horror flick IT COMES AT NIGHT gets a creepy trailer! Ahoy, squirts! Quint here. 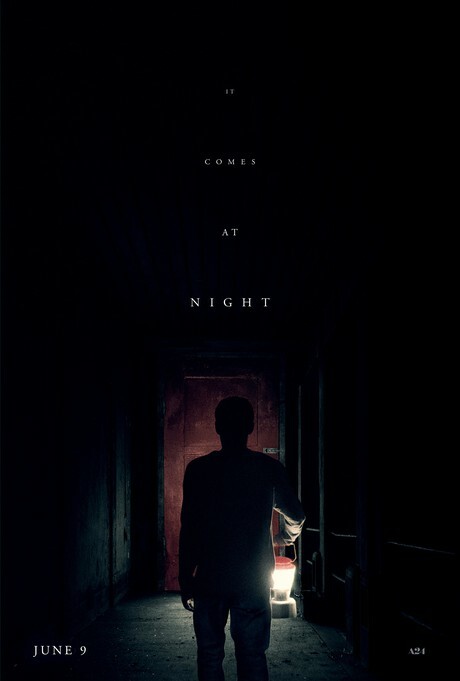 Today the trailer and poster dropped for upcoming horror flick IT COMES AT NIGHT, which just got some great word of mouth out of the Overlook Film Festival. That makes me happy because I'm a big fan of the new trend to make genre flicks look super high value. For so long it has languished in found footage and sub-million dollar budgets and I frankly missed the days of stuff like Poltergeist and The Omen and other high production value genre titles. That doesn't mean I think you need tens of millions to make a horror movie look good. Not at all. But you need to enter into it making that production value a priority. The flick is being released by A24 June 9th!